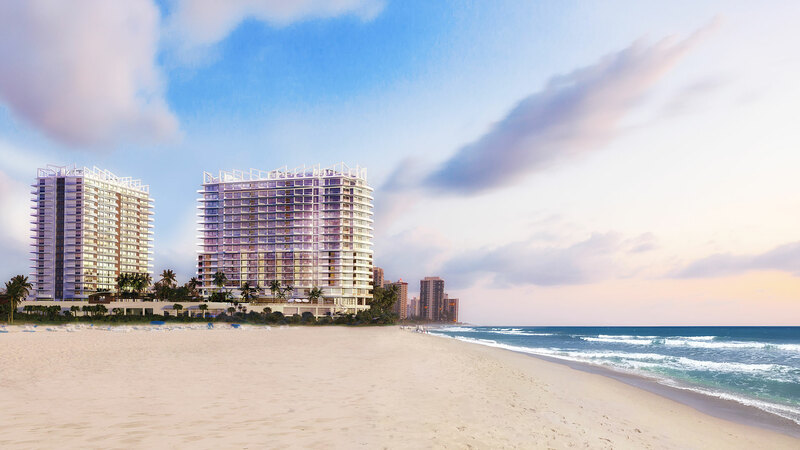 Scheduled to be completed in Spring-Summer 2019, Amrit Ocean Resort & Residences spans over seven acres in a pristine stretch of the Atlantic shoreline in Palm Beach County’s picturesque Singer Island. The new property will include a total of 351 resort-residential mixed residences, about 100,000 square feet of space (indoor & outdoor), dedicated to your mind, body, and soul marrying modern technology with inner science and Eastern philosophies, whether you’re visiting the resort or residing. It is a resort and residence a destination that will offer a new paradigm of mindful living bringing Eastern traditions and inner science with Western luxury, all enhanced through the incorporation of modern technologies. Conceived by visionary developer Dilip Barot, Indian-born entrepreneur and founder of Creative Choice Group, the concept for Amrit Ocean Resort & Residences grew with the help of experts in spa and wellness, such as the world’s leading luxury spa innovator, ESPA, and the renowned Himalayan Institute, recognized worldwide as the authority on holistic health. The unique property at 3100 N Ocean Drive will be comprised of two towers each offering indoor and outdoor living with modern cabinetry, state-of-the-art appliances, designer fixtures, and large sliding glass doors that open to covered terraces with spectacular water views. Tower P (Peace) will be a resort residential tower that includes 96 residences, which can offer features such as posture-supportive heat reflexology floors, personalized digital entertainment packages, mood-enhancing aromatherapy, vitamin c-infused showers, exterior sound intrusion block, and dawn simulation to gently increase the amount of light in the bedroom at a customizable wake-up time. 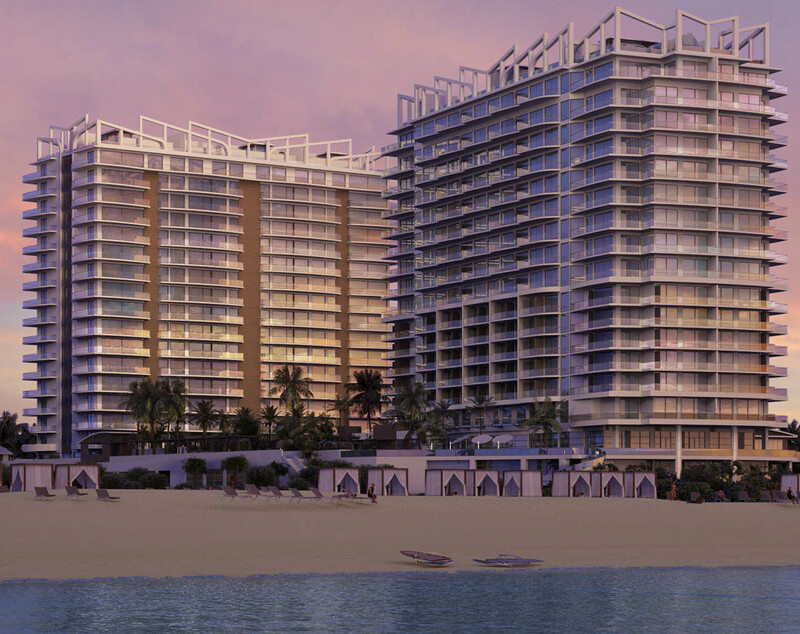 Tower H (Happiness) will offer a hotel-residential mix of 153 hotel rooms and 86 residences featuring amenities with access to a 100,000-square foot indoor and outdoor spa and wellness amenities designed in collaboration with ESPA, nourishing oceanfront restaurant with regional and international specialties, meditation garden, indoor and outdoor yoga studios, whirlpool spa, and a private beach club with sun angels, cabanas, watersports and complimentary lounge chairs, umbrellas, towels. Both towers will feature recreational pools for residents and visitors to relax and enjoy their surroundings. Within the beautiful natural surroundings, Amrit’s enhanced lifestyle experiences and customized programming will be focused around the “Five Pillars of Wellness,” a selection of integrated areas of wellness that address sleep deprivation, nutrition, and diet, relaxation and de-stress, personal training, fitness, and sports rehabilitation, beauty treatments, weight management, and more. Set to launch sales Summer/Fall 2017, prices range from $700,000 to over $4 million.